26. Round lots or odd lots? 28. What is a Bottom and what is a Top? 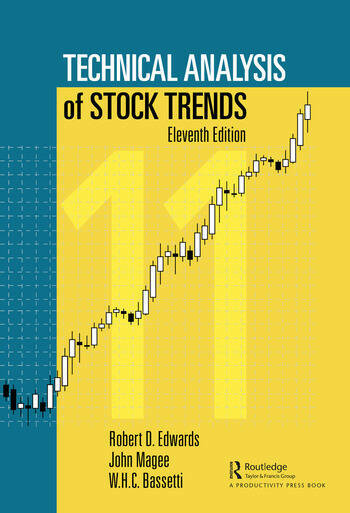 WHC Bassetti is the Editor and Coauthor of the classic reference, Technical Analysis of Stock Trends, 10th Edition, first written by Robert D. Edwards and John Magee in 1948. Mr. Bassetti traded as a student and client of John Magee in the 1960s, beginning a long, distinguished trading career encompassing virtually all of the financial markets, stocks, bonds, options and futures. In 1972, as a Principal and Vice President of California’s first licensed commodity trading advisor he pioneered computerized trading systems and traded professionally for individual and institutional clients. His company was one of the first to manage capital for Merrill Lynch, Dean Witter et al and he and his partners created and managed some of the first commodity mutual funds. In 1984 he was appointed CEO of Options Research Inc., a company founded by Blair Hull of Chicago’s Hull Trading Company, formerly the largest market maker on the floor of the CBOE. ORI was one of the first if not the first, companies to computerize the analysis of options and futures. Clients for analytical and portfolio services included Morgan Stanley, First Boston, and Kidder Peabody et al. Mr. Bassetti’s organization managed options arbitrage capital compiling a brilliant record during the market crash of 1987, and traded as a market maker with a seat on the Pacific Stock Exchange. A graduate of Harvard University and a former NASA systems engineer, Mr. Bassetti is currently Distinguished Adjunct Professor of Finance and Economics at Golden Gate University, San Francisco, Editor of the John Magee Investment Series for St. Lucie Press and a practicing technical analyst. In spite of his decades of work in computerized trading systems, Mr. Bassetti’s favorite analytical tool remains a ruler, a tool he teaches graduate students and the general public in his monthly 2-1/2 day seminars at Golden Gate University.